Chicago police officer Jason Van Dyke, 40, has been convicted on second-degree murder charges in the October 2014 shooting death of 17-year-Laquan McDonald. Van Dyke, who is white, fatally shot McDonald after he spotted the teen walking down the street with a small knife in his hand. The jury—which consisted of eight women and four men; seven white, one Black, three Latino, and one Asian—also found Van Dyke guilty of 16 counts of aggravated battery, representing the 16 times that the “peace” officer shot the teen, with at least 9 shots piercing McDonald’s back. Van Dyke was originally charged with first-degree murder, but jurors were instructed on Thursday that they could consider second-degree. Van Dyke was found not guilty of official misconduct, the Washington Post reports. Chicago mayoral candidate, former Federal Prosecutor, and former Police Board President Lori Lightfoot released the following statement today in response to the verdict in the Van Dyke case. “This is a significant milestone in Chicago’s history. Going against a national trend in which juries almost always acquit on-duty police officers on criminal charges, this jury found the evidence powerful and compelling—as have so many Chicagoans in the years since Laquan McDonald’s tragic death. I commend members of the jury for doing their civic duty in such a difficult environment. Chicago mayor Rahm Emanuel participated in the coverup of the police execution of 17-year-old McDonald, and his career has rightfully suffered for it. Emanuel, who announced in September that he will not be seeking re-election for a third term, issued the following joint statement with Police Superintendent Eddie Johnson. “While the jury has heard the case and reached their conclusion, our collective work is not done. The effort to drive lasting reform and rebuild bonds of trust between residents and police must carry on with vigor,” Emanuel and Johnson said. 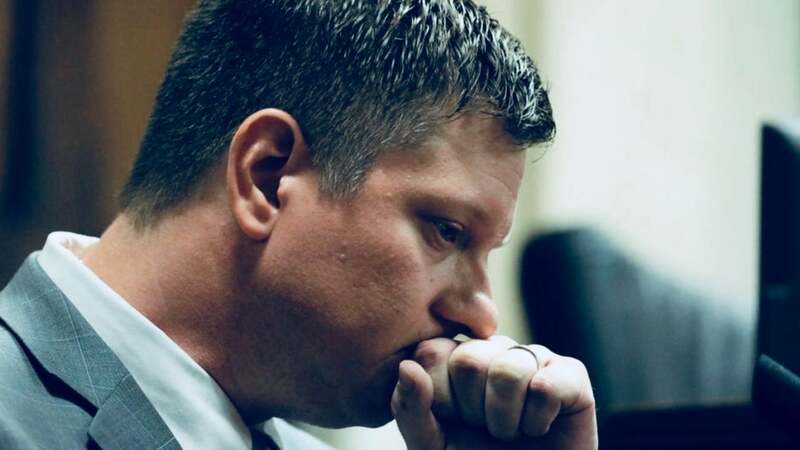 Though the guilty verdict for Van Dyke is both unexpected and absolutely necessary, it is telling that the jury chose to find him not guilty of official misconduct. Is murdering a Black child not unbecoming behavior for a police officer? Van Dyke, in his capacity as a police officer, murdered Laquan McDonald. It is impossible to separate his violence from the violence of the state that empowered him—they are one and the same. The Chicago Police Department’s propensity for violence has been well-documented, especially following the CPD’s collusion with the FBI in the 1969 state-sanctioned assasination of Black Panther Party for Self-Defense Chairman Fred Hampton. According to data analyzed by the Chicago Tribune, over the span of six years (2010-2016), the Chicago Police Department killed 92 people and wounded 170 people in 435 shootings. Four of five victims shot during that time period were Black men and boys. In 2015, former Chicago police officer Dante Servin was acquitted in the 2012 fatal shooting of Rekia Boyd; one year later he was allowed to resign from the police department and collect his pension. As ESSENCE previously reported, in May 2015, Chicago’s City Council unanimously passed a reparations package (pdf) that included a $5.5 million fund for Black people who were tortured in police custody during former Chicago Police Cmdr. Jon Burge’s time in office. The University of Chicago’s Chicago Torture Archive—a massive collection of interrogations, criminal and civil-litigation documents, works of journalism, and records of activism in connection with and sparked by the CPD torture cases documented between 1972 and 1991–is available online. Van Dyke became the first Chicago police officer to be convicted of murder for an on-duty shooting in nearly 50 years, the New York Times reports. CNN reports that he is the first Chicago police officer to be charged with first-degree murder since 1980. Van Dyke’s sentencing is scheduled for Oct. 31.